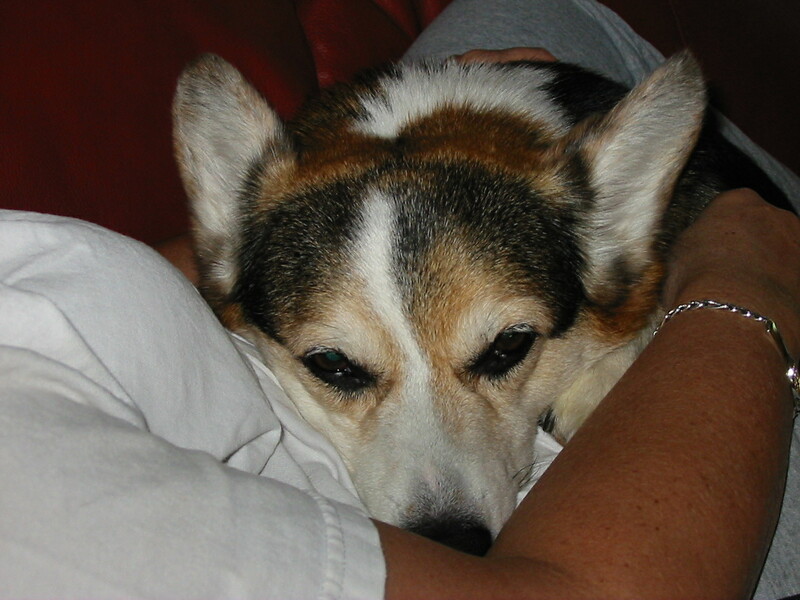 On Sunday, I wrote about the passing of my dog, Casey, in the immediate aftermath of it. My emotions were raw, my denial firm, my tears spilling onto the keyboard as I tried to cram every possible memory of him into a post to show how I felt about this immense loss. It’s two days later, and I’m still sad, still crying at times. Still choking up when someone, as so many people have, say kind words about him. “I’m sorry for your loss,” they say. “It must be tough,” they say. “At least he’s no longer in pain,” some say. “You gave him a happy life,” they all say. I can’t believe it, is what my parents and I say. He can’t really be gone, we say. Where did we go wrong? we ask ourselves. Why so early, why Casey? we ask God, the vet, each other, anyone. You don’t get it, we think to ourselves. You didn’t know Casey. You didn’t see his big beautiful eyes pour into your soul, understand you, need you, love you with every ounce of his cuddly, little being. You didn’t hear his “Arf! Arf!” as you opened the garage door, or hear his click clack of nails on the floor as he came running to dinner, or looking for you as you played hide and seek. Many people have read my first post. And yesterday and today, and tonight talking with my Dad, I remember so many more memories of Casey. I remember even more nicknames (is that possible?) that we had for him. I come across more pictures and love that he was most content lying on his back or cuddling with us in a chair or napping on the couch. I remembered today that we also called him JB – Jealous Boy – because whenever Harrison was being touched, or given attention, Casey needed it, too. 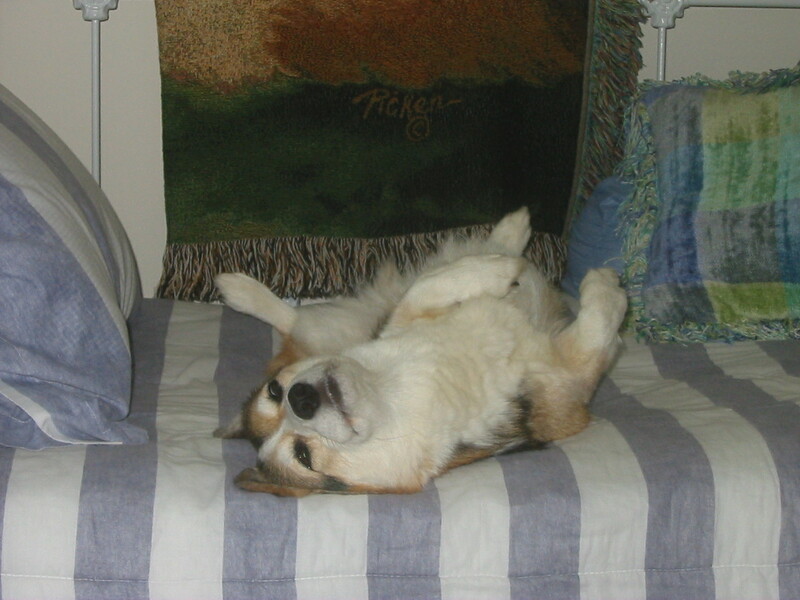 Oh, Harrison was the same way – you couldn’t play with Casey without Harrison coming over and barking or whining or rolling on the floor to get attention, but Casey had this special way – you couldn’t ignore it. He would nuzzle right up to you under your hand, so you HAD to pet him. And you couldn’t just pet him once and be done with it. You had to keep petting him, petting him, until he was satisfied. Sometimes it took awhile. If Harrison jumped on your lap, Casey had to jump on your lap. He was a JB, plain and simple. But we loved it. He was Attack Dog. I mentioned before how he would rip open his toys and spread the stuffing around the house. It was pretty brutal, yet hilarious. This sweet little thing was terrorizing his toys in a way that looked like a grizzly had come plowing through with no mercy for its prey. He was Cuddle Hound. He may have jumped down every few minutes to “get long” on the carpet and cool off (on his stomach with legs kicked back behind him), but there was no stopping him from jumping up again and again on the couch or chair with us while we were watching movies, reading a book or drinking coffee and watching the birds outside. He just wanted to be with in someone’s lap, plain and simple. One of my favorite memories of Casey was playing hide and seek with him with the tennis ball. This was more often back in our Loveland home, where we had carpet and he wouldn’t go skidding all around the house on hardwood like he did in our current home in Mason. I would throw the ball upstairs to the second floor or down the hall into a bedroom, and then go hide behind a door or chair. Of course at this point, Harrison would want to join in so I had to take him with me and make him be quiet. Casey would run off to chase the ball and then wander the house looking for me – ball in mouth, slobbery and wet. Sometimes I would give myself away by stifled laughter, but sometimes, he was just so darn smart – I would see his little head peeking around the corner of the bathroom door or pacing around the couch in the living room, his head cocked, and saliva dripping from his mouth. When he would find me, he would drop the ball on the floor and bark: “Arf! Arf! – Hey! Where were you?? Throw the ball again!” And we would start the cycle all over again, a chase ensuing where he would nip my heels (they were herding dogs after all) up the stairs and nudge the ball at me until I threw it again…and again…and again. Casey also danced. Yes, he really did. Tap dancing to be exact. It would be meal time, and we would be preparing the food bowls, Casey running back to Harrison over and over until that boy came sauntering in, and Casey would tap, tap, tap backwards on his front paws until we set the food bowl down. 30 seconds later, the food was gone. There are so man more memories of Casey…and I’m sure this won’t be my last post on him. Part of healing is remembering the good times, remembering the times that made you laugh, that made you cry, that made you happy and whole. Casey made us whole. Casey’s memory will keep us whole.